It's been a long hiatus (at least it feels that way to me!) and I've sorely missed blogging and sharing my thoughts with all of you! The last month is probably the longest I've gone without writing on this site, and I realized how much I missed doing it – the sweet inspirations I would get, the excitement of documenting it all, and of course the joy of sharing with everyone else out in the blogosphere, and seeing what all of you were up to. 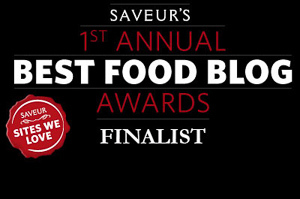 Even though I'm immensely thrilled and grateful to have the experiences of working on two cookbooks, I don't think I'll ever want to stop blogging; it's too much fun, and too fulfilling, to give up. 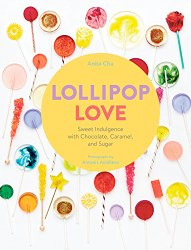 So, to update: I'm happy to report that the manuscript for my second cookbook, all about candy, is just about ready to send off the printers. I had a fantastic photoshoot with a tremendously talented photography team, and I'm really excited about how it's all going to come together. I'll be sure to fill you all in with more details as the publication date draws closer (this fall!). While I know the excitement will pick up again when the book comes out, I'm actually quite happy right now to take a deep breath, remove my candy-tinted glasses, and see what else is going on. To decompress after several months of hard work on candy, what better remedy than the company of fellow pastry aficionados? The Bay Area is lucky to have a wealth of resources for the culinarily inclined, from professional programs to weekend classes for the home enthusiast. Although I'm a proud alumna of Tante Marie's Cooking School, I'm always up for an opportunity to learn from other teachers. 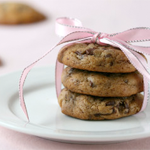 This opportunity came in the form of the San Francisco Baking Institute, a school located just south of the city. In addition to a full-time professional bread and pastry program, they also offer week-long courses on topics ranging from viennoiserie to wood-fired oven baking. The class I took was SFBI's Pastry 3 class, which covers multi-component cakes and entremets, their composition, decoration, and presentation. Over five days we made the various cake layers, mousses, frozen inserts, chocolate decorations, and then assembled all the pieces into beautiful desserts. Often at home, these elaborate creations can seem too complicated or time-consuming to make. In the Pastry 3 class, it was nice to remember how rewarding making these desserts can be. The class was a good mix of lecture and lab, with plenty of technique demonstration as well as ample time for us to work on our creations. Following are some shots from the class, along with the cakes we created. I apologize in advance for some of the less-than-stellar framing and quality of the photos; it's a challenge to pay attention in class and be working and be trying to frame shots! 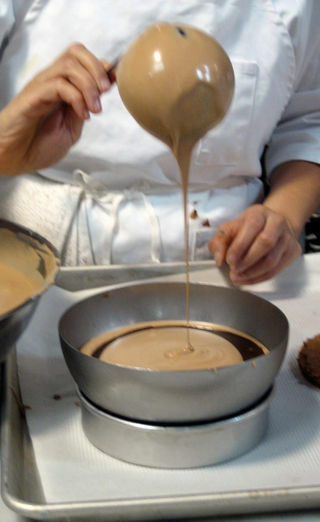 Filling a mold with the mousse for the chocolate dome. You can see one of the tempered chocolate discs being layered inside. Photos of the finished cake below. Our talented instructor Juliette pondering the demo cakes she has made for us. 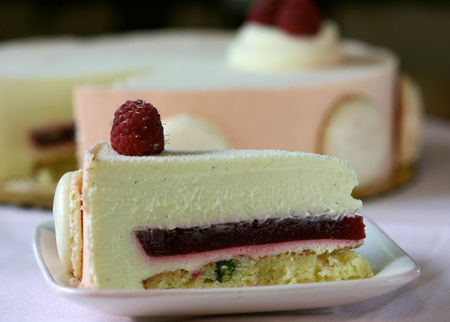 Here's a cutaway of the first cake we made, a white chocolate mousse cake with a raspberry insert and sponge cake base. 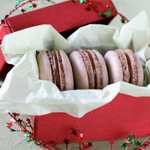 Decorated with white and pink-colored chocolate spray and border of macarons. There was a really nice balance of sweet and tart in the different components; although many people fear white chocolate's cloying sweetness, this cake didn't have any of that. Just about everyone I served it to really enjoyed it. 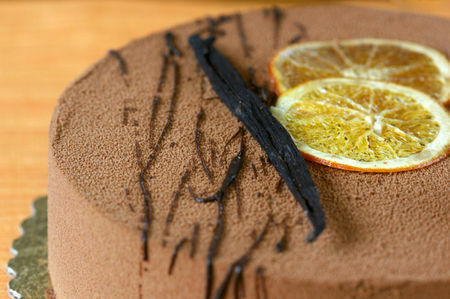 Chocolate Mousse Cake with Crispy Praline and Sweet Orange Risotto. You can see we also decorated this cake with chocolate spray – an entertaining but messy process! Cutaway slice of the cake showing the orange and vanilla infused risotto and the crispy hazelnut feuilletine layers. I'd never put risotto in a cake before – it's like a layer of rice pudding, adding subtle flavor and texture to an otherwise very chocolatey dessert. 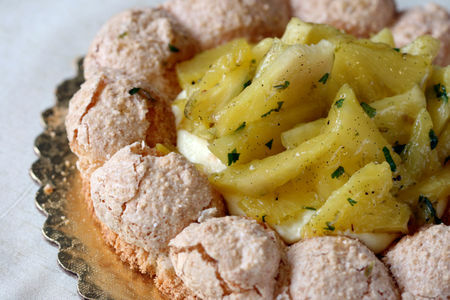 Tropical Tart with a Coconut Dacquoise Base, Coconut Mousseline, and Pineapple. 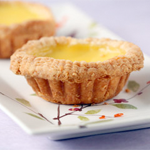 A tart with a base of crisp, nutty dacquoise, spread with a layer of creamy coconut mousseline, and topped with pineapple covered in a glaze of sugar syrup infused with vanilla bean, orange zest, and mint. 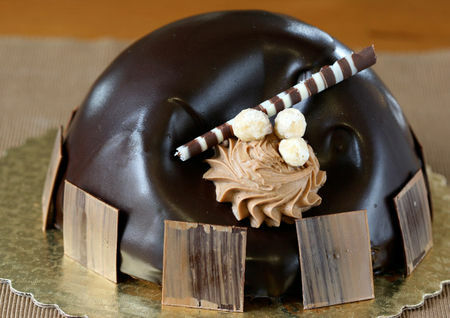 A refreshingly light reprieve from all the other rich mousse cakes we sampled at the end of class. 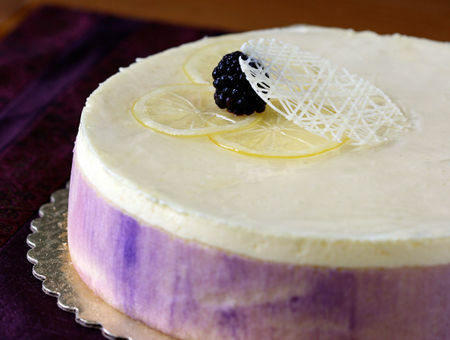 This was a class favorite: the Lemon and Blackberry Mousse Cake. We made the wall of the cake from joconde similar to this other cake I did. 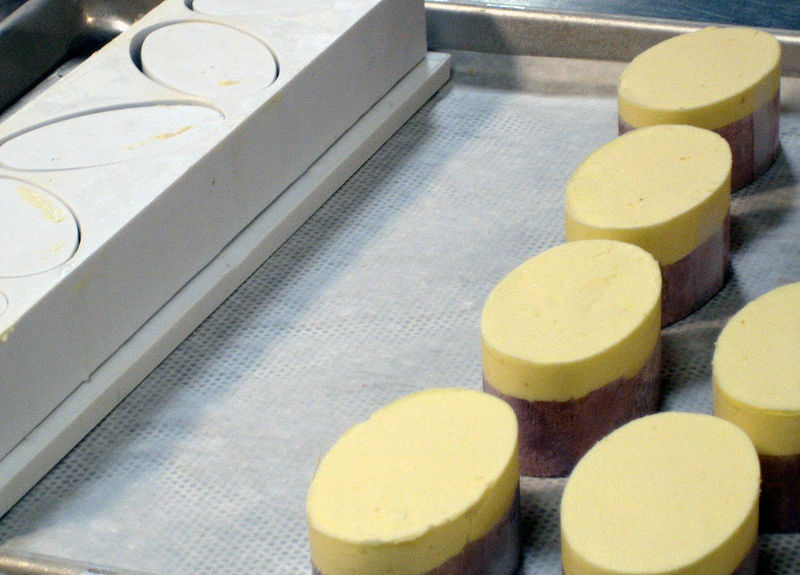 As part of the class, and as a lesson in using up every valuable bit of pastry scrap you have, the leftover joconde and lemon mousse were used to line and fill individual cake molds. And here are the little cakes when popped out of the mold! 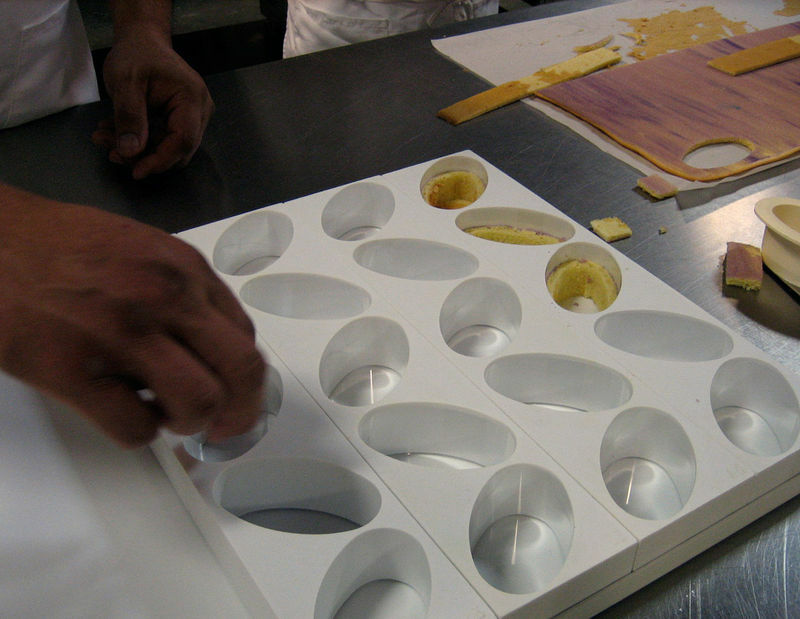 Ready to decorate for the petit fours tray. 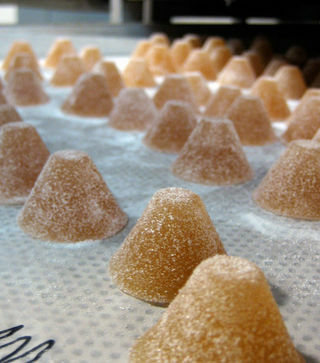 Little lychee pâtes de fruits. 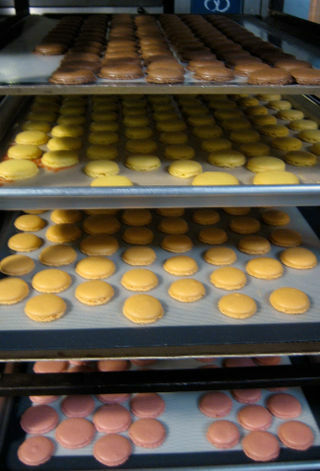 Trays and trays of everyone's favorite, macarons. We made about five different flavors: chocolate, raspberry, lemon, pistachio, and coffee. It's always fun for someone who's already been inducted into macaron madness to see the reactions of macaron first-timers: some aren't quite sure what these delicacies are all about, others are intrigued by the process of macronage, but everyone can't help but want to sample them all at the dessert table. 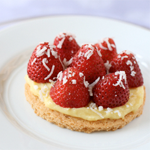 Strawberry Breton Tarts, with strawberries and pistachio cream in a buttery, fantastically crumbly sable breton crust. The last cake we did: a Chocolate Dome with Chocolate Whisky Mousse and Crispy Praline, finished with chocolate tiles and candied hazelnuts. 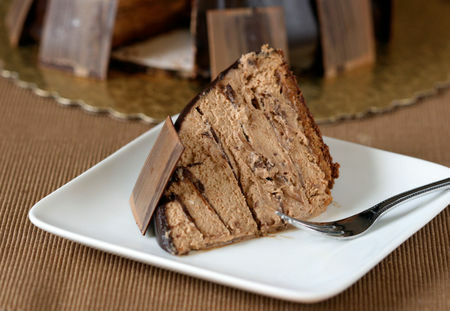 You can see in the slice of cake the several discs of tempered chocolate layered in the mousse, which gives an unexpected crunch to what might otherwise be a monotonous pile of chocolate mousse. I really, really, liked this cake, but honestly, I'm still hard-pressed to choose a favorite from all the ones we made. 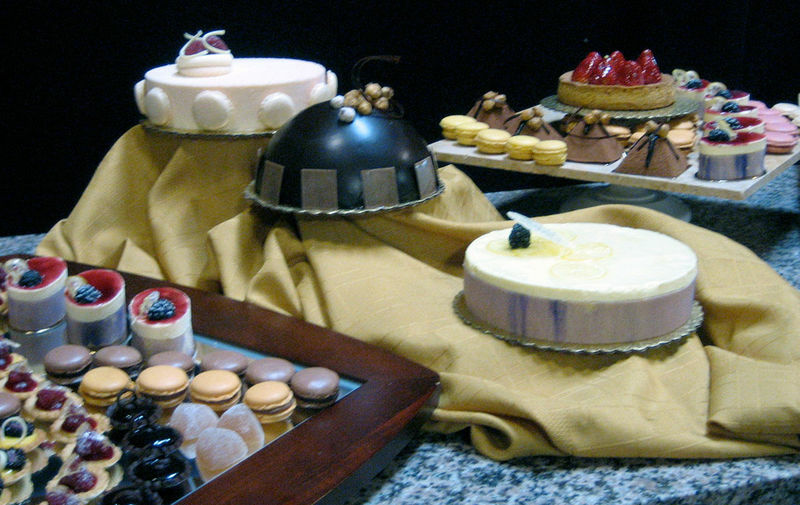 Part of the dessert display at the end of class. 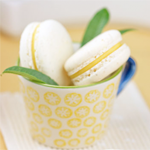 Macarons and petits fours galore. Another shot of the dessert display. At this point everybody was waiting for everyone else to put down their cameras so they could dig in. I'd like to thank SFBI for putting together such a fun, well thought out, and useful class, and to Erin Bailey, the director of business initiatives, for giving me such a warm welcome. I spoke with her over the course of the week and was excited to learn about SFBI's philosophy and plans. The school has a passionate interest in promoting the pastry arts and supporting enthusiasts, professionals, and entrepreneurs. 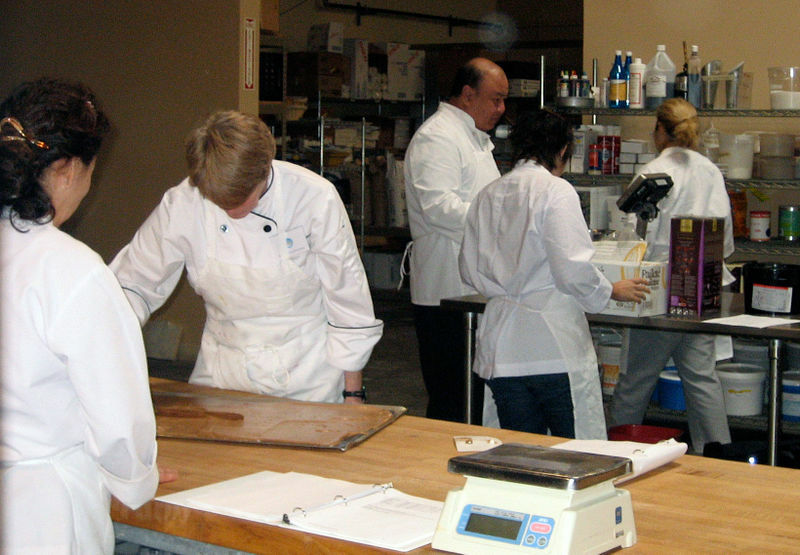 For those aspiring bakery owners, SFBI actually provides consulting services for those who are interested in starting a business and who need some guidance. I think this is a fantastic and much-needed service that could help advance many bakers' dreams into happy reality; a resource I'm happy to promote. Bailey also indicated that SFBI is planning on continuously expanding their curriculum to cover more topics. 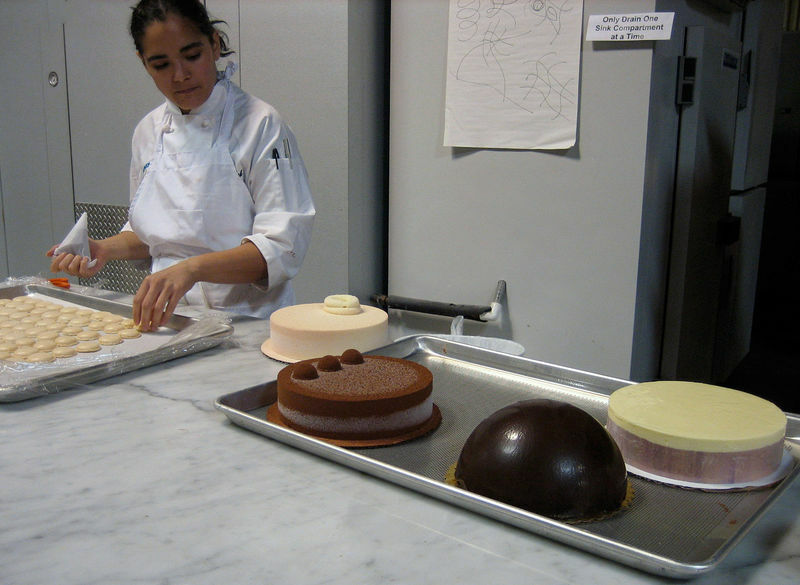 I'm really happy that there is another pastry school in the Bay Area I can recommend to people. Check out their site, as well as their new textbook, another doorstopper tome full of tons of useful information. After this pastry vacation, I think I may all rejuvenated and ready for a return to blogging! 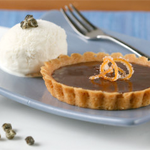 Next week, I'll talk about my own upcoming class at Tante Marie's Cooking School! sounds like a great class and great experience, welcome back! It’s so nice to see you back, Anita. Congratulations on finishing the manuscript!! And I am positively green with envy over the class you took. I have never come across such an intense and detailed pastry class in the UK. Everything looks amazingly good. I can’t believe you are so far along on the book. Go Anita. Wow! all of those sweets in just five days?! Amazing! I’ve actually been thinking about attending this course, but wasn’t sure if it’s worth the price. Now I’m sure that I want to attend it … and hopefully soon :). 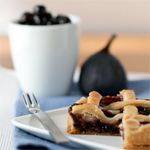 Did you have to take pastry I and II in order to enroll to this one? 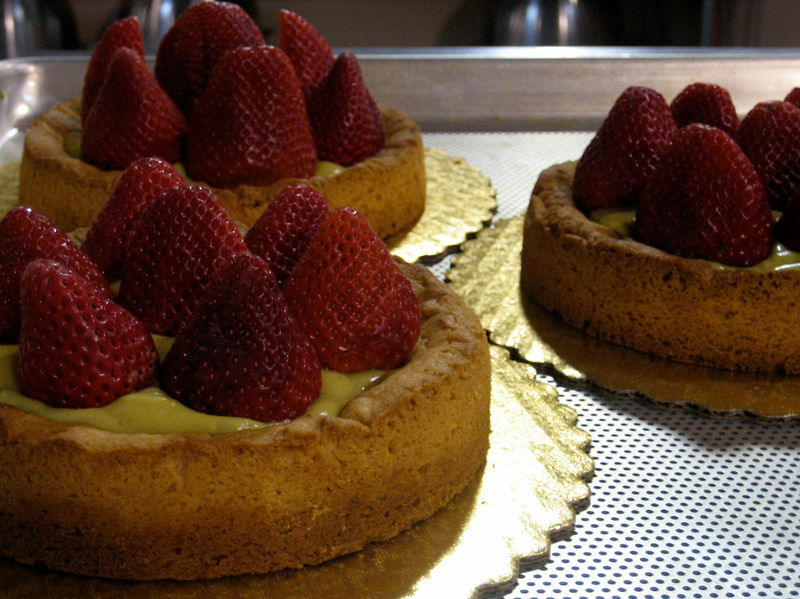 These pastires look FABULOUS! 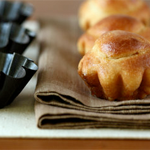 I am so jealous of you getting to take this class – one of my life golas is to take a weeklong pastry/baking class. Thanks for sharing your experience. I am motivated to find a good one in the Southeast now. wow those cakes are amazing. you made me dream. wish I could do a course like that too. Is the joconde tinted purple ? Yum…An absolutely stunning display! Thank you for sharing! Welcome Back Anita!! LOVE the pix from your class! I’ve heard of it and even looked into their classes before, but just can’t bring myself to spend the money… maybe when we’re all out of this crappy economic downturn! It looks like you all had the most glorious week! The photos are gorgeous, but I think those lovely works of art should have had a Cezanne sitting in on the class as well to paint them. These cakes look so fabulous! What a fun course to take. Welcome Back Anita! So good to see you back in the blog world. But the work you’ve been doing! I was getting so hungry just looking at your photos. Every dessert looked so professional and totally delicious. I wouldn’t have minded being the clean-up crew. how cool anita! they sent me their new book a few days ago and there are some great recipes in it. lucky you! What an awesome class! I’m tempted to look into taking one this summer. I definitely need to hone my pastry skills. Looked like so much fun! I’m jealous. Although I’m doing a 2 year course here in the UK I think the sound of doing it in San Fransisco is much better. Oh, what an amazing class and such great cakes! I wish I could be able to make such masterpieces, but maybe one day I will. I guess I have to find some time to go to a pastry course! 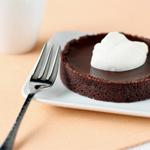 Then I could make all kinds of desserts without worrying about the leftovers at my house. And it’s great to have you back! And a book about candies, sounds great, too! this looks like so much fun.. I have actually been looking at the sfbi website, h oping they would offer another wedding cake class. sadly they say not until next year! And nice to have you back! i’m so jealous! this looks so fabulous! wow such a lovely cakes ^^, like everyone else above, i’m jealous too ^^. So for Lemon and Blackberry Mousse Cake, the only cake is the wall or is there any layer of cake within it ? That class sounds – and looks – awesome! And congratulations on your new book. I LOVE your blog and am glad you are back! Great weight management plan for me: I look at the pictures you post, feel so satisfied — almost as if I can taste them….then I don’t have to! 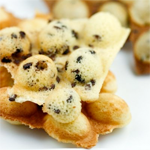 These cakes look amazing and this pastry class sounds great :-). Looking forward to your candy-book! 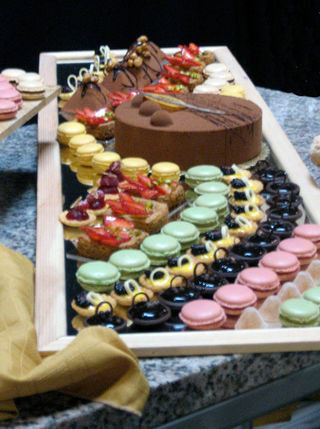 Wow all the desserts look amazing! I want to eat them all – they sound divine. Beautifully presented and decorated too. The pictures are amazing and it sounds like you had a wonderful experience. This class looks incredible. I wish they had a school in the northeast. Thank you for posting the photos. I will definatly bookmark your blog for my research work. You may also kindly visit my web site blog related to food and drinks industry that is http://foodmarketnews.blogspot.com and I would appreciate if you could kindly have a look at my blog too. It’s updated on a daily basis. 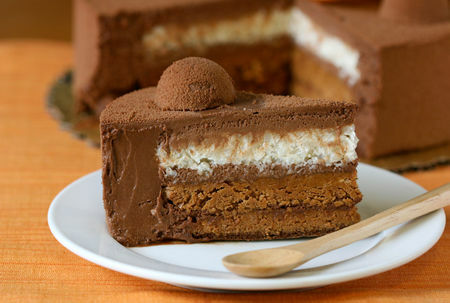 Wow, these desserts look amazing! By the end I was practically drooling! I’m 18 years oldCan you recommend a place where i can go learn all this from? 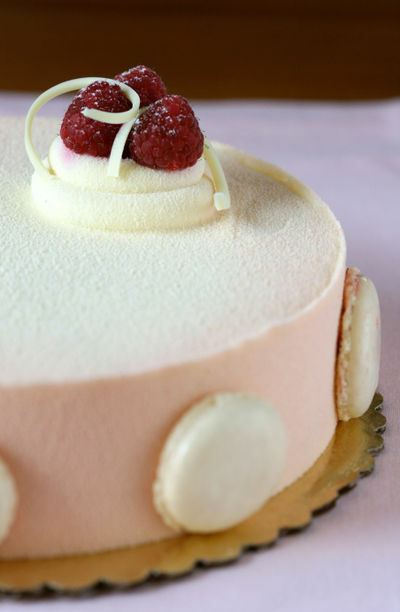 If you go to my post Want to Go to Pastry School, I list several schools that I recommend. Good luck! Can i know what and where is SFBI? I’m searching for Pastry schools. 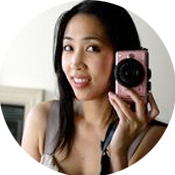 Hi Stephanie, SFBI is in South San Francisco. You can find more information on their site sfbi.com.